it is simply to bring you the best drinks you have ever tasted. 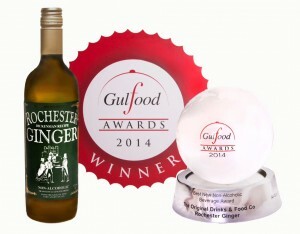 2014 our Rochester Ginger Drink won the prestigious Gulfood award for Best Non-Alcoholic Beverage in the UAE. 2013 our Rochester Ginger Drink was voted Worlds Best Natural Beverage in Moscow.